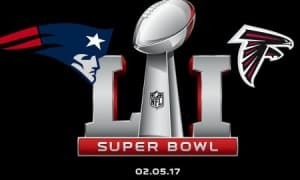 The Atlanta Falcons and the New England Patriots will face off on Sunday February 5 at the biggest game of the year: The Super Bowl. Super Bowl Sunday is once again only hours away. This is the one Sunday many football fans have waited around for all year long. Football fans hoped to see their favorite team being part of it, as we know only two made it; the Patriots and Falcons. Perhaps you are hosting a Super Bowl party or attending one. In either case, the whole idea is to enjoy every Super Bowl moment along with the funny commercials America is known for. The Northeast will celebrate indeed. The New England Patriots will be going for their 5th Super Bowl title, which would put them in a tie for second all-time with the San Francisco 49ers and the Dallas Cowboys. Tom Brady is playing for his 5th Super Bowl ring which would make him the all-time winningest quarterback in NFL history. Meanwhile, the Atlanta Falcons will be looking for their very first championship in the 66-year history of the franchise, led by QB Matt Ryan, who incidentally, attended Boston College. Now let’s picture the day after the Super Bowl news’s headlines: “couples arrested for fighting over chicken wings” (Breach of peace), several charged with “DUI – folks couldn’t remember their own names”, arrested for “burning cars in honor of team winning” (Vandalism), you’ve heard it all right? That’s why 3-D Bail Bonds is sharing five important tips to avoid arrests during Super Bowl LI. Tip 1. Shouting and celebrating a little too much. We heard of cases where brothers and friends have been arrested because “the neighbors called the cops.” There was nothing wrong, however the neighbors thought something was very wrong so they called the cops. Keep this mind when celebrating a touchdown. Tip 2. Do Not Drink and Drive. Drinking a bit much? Call Uber and get a ride instead of driving drunk. Save your life and others. After all, do you really want to share a cell with someone from the opposite NFL team? Probably not. On the other side, the bail bond may be a small bail amount but the consequences of an arrest are life changing so call Uber or set a designated driver if you plan on going out. Tip 3. Don’t get so worked up because your loved one or friend walked in slow motion across the TV during a crucial football play. Violence can be avoided. Keep it cool and if it helps think that there will be always another Super Bowl next year. Tip 4. Avoid being on the spot if you have an outstanding warrant. First of all, you should take care of that active warrant so you don’t suddenly end up locked up in a cell at the wrong time. Easily a traffic violation can place you in jail due to an active warrant. Tip 5. Stay away from Facebook or any other Social Media channels when drinking. Sharing a little extra information is not so good. Very often individuals get arrested over big events like the Super Bowl, by sharing incriminating photos and videos. 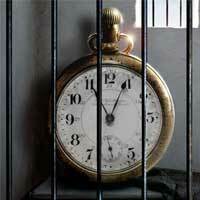 Comprising data that gets published can land you in jail. 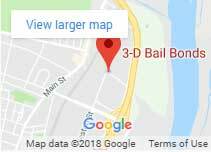 3-D Bail Bonds is here to bail you out even during the Super Bowl, however our priority is to keep you and your loved ones safe. An arrest is a serious matter, that’s why we can have a bail bondsman sent to any and every CT town to serve your bail bond needs as fast as possible. 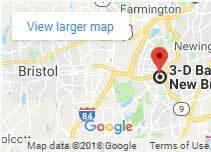 We placed a bondsman in Hartford, East Hartford, New London, New Haven, Bridgeport, New Britain and Willimantic so each of them is located within minutes of the local police departments. Lets’s enjoy the eating, the hilarious commercials and most importantly the game, as there is no more football after Super Bowl Sunday until September!